What started off as a nice, crisp winters morning quickly changed. I hadn’t stepped onto the beach at Kilgorman for more than two minutes when the heavens opened. I made a dash for the first beach buddy I saw and jumped under. “Alright Gareth, don’t mind me!”. I made myself at home and had a good root around, and although I couldn’t find the kettle anywhere there was just about everything else a match angler would want. Eventually the showers passed and it was safe to emerge from the buddy and make my way along the beach, but I thought to myself I may as well take a few snaps while I was there! 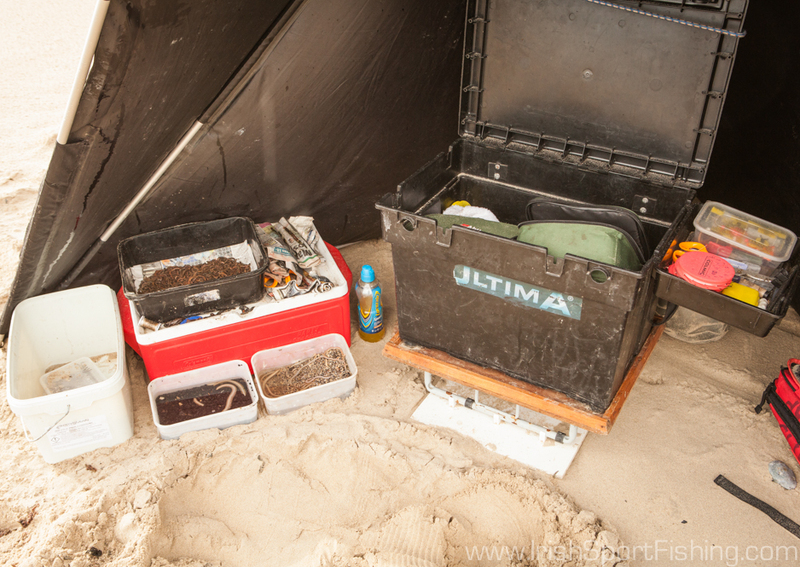 A neat and tidy shelter – everything ready to go! Gareth has been coming to Ireland for quite a while and I normally meet up with him each year down in Kerry during the Irish Pairs. 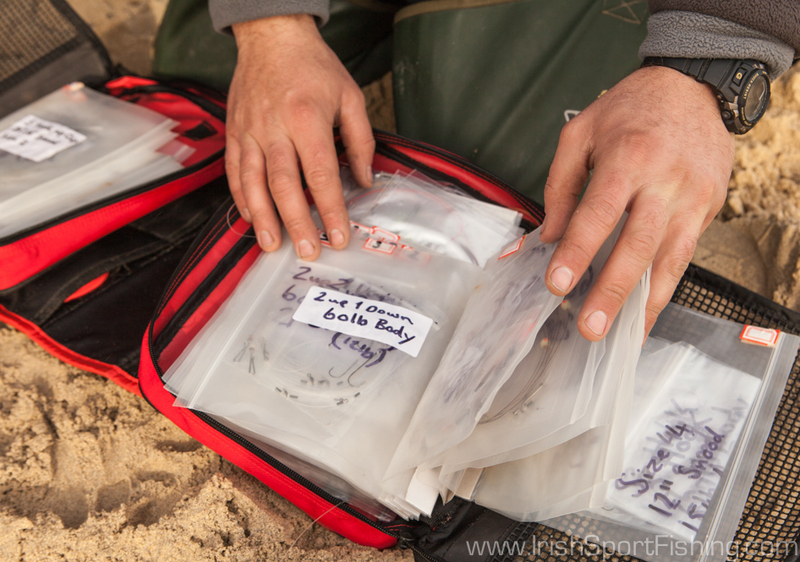 He’s always been a neat and organised angler, and his results over the years have been no fluke. You don’t get selected to represent your country three years in a row (2011, 2012, 2013) if you’re not up to it! Gareth is never afraid to ask questions. If you don’t know something you should ask, right? Like with everything in life you can save a lot of wasted time and effort by not being afraid to ask. Whether or not you will be given an answer (or at least an honest one!) is another story, but being able to tell what is bullsh*t and what’s not is another vital skill of the match angler! 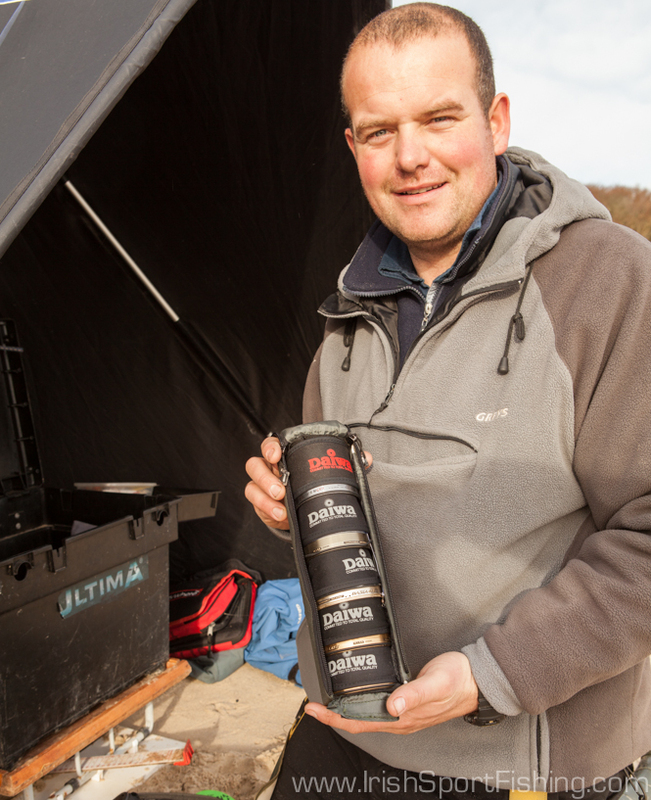 There’s an ever increasing array of continental style beach rods being used on our shores these days, but Gareth is impressed with Colmic’s range. The 4.6m 100-250g and 4.95m 90g-150g Zero Seven F1 are his go-to rods for this type of fishing when fishing with worm/maddies for small fish. 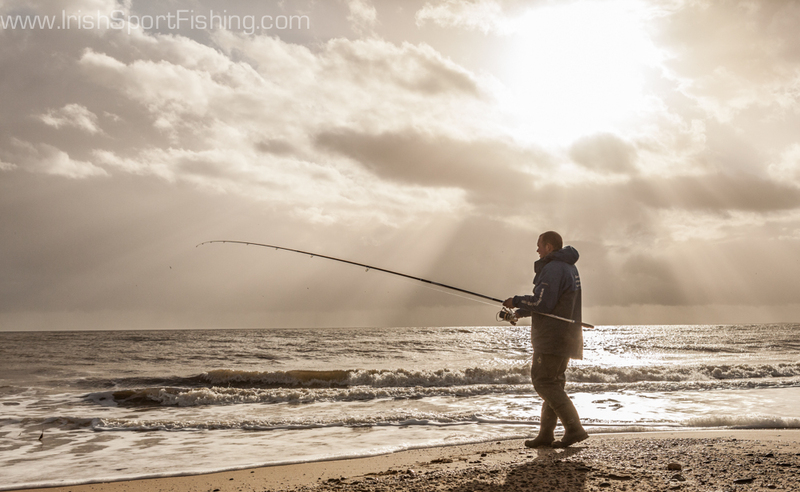 “They are perfect rods for this sort of fishing. The tips are sensitive enough to spot bites, but they also have the backbone to really whack three baits out if needed, especially the 4.6m being the more powerful rod”. 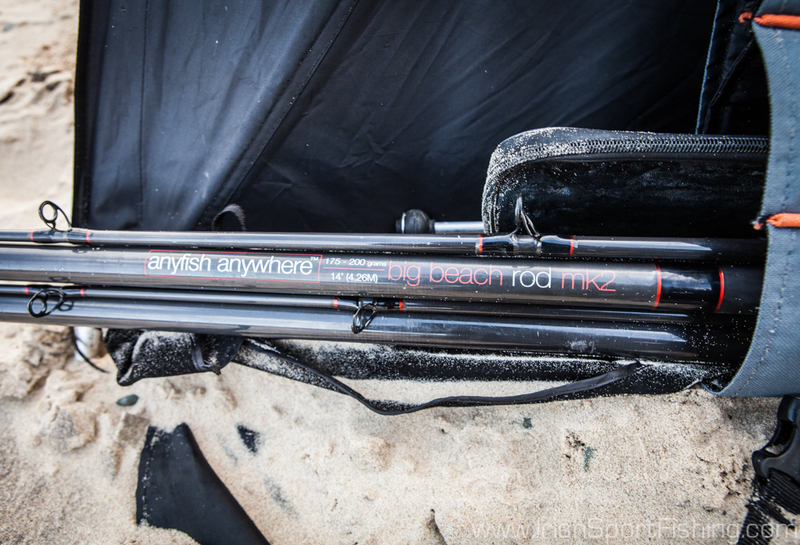 He also uses the 4.5m 80-180g Colmic Primera for 3-4oz work with the fixed spool, and there were a pair of AFAW Big Beach rods in the holdall which are used for more traditional fishing for dogs, codling, whiting etc. 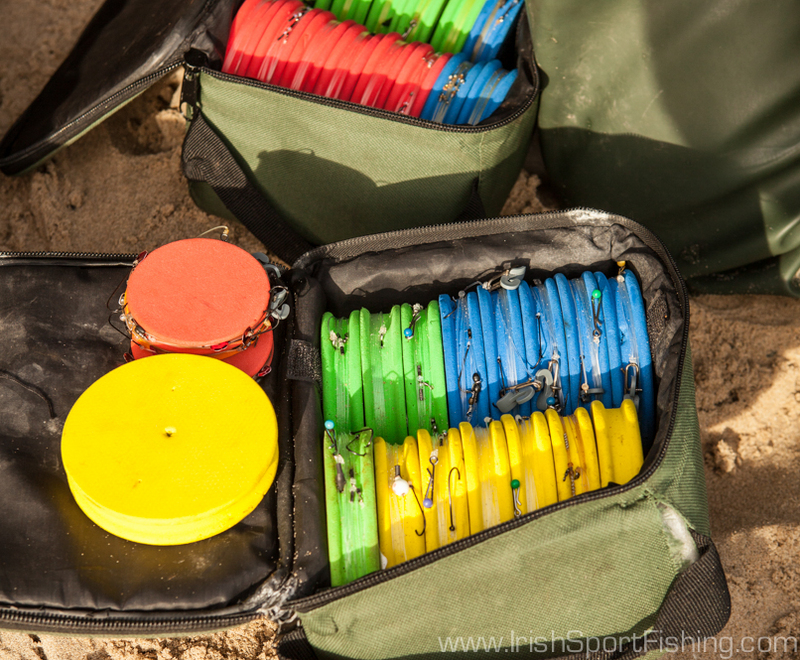 Plenty of spare spools just in case! Matched to the Colmics were a pair of Daiwa Basia’s. 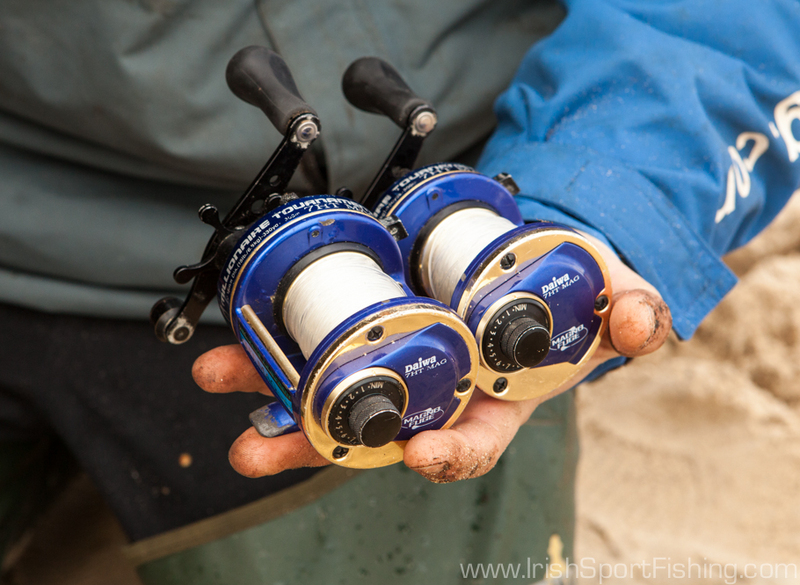 These are some of the best reels money can buy being incredibly lightweight and super smooth. They would want to be for the money! Gareth carries plenty of spare spools ready to go. There were also a few Daiwa 7HT Turbo’s in his box to go with the Big Beaches. 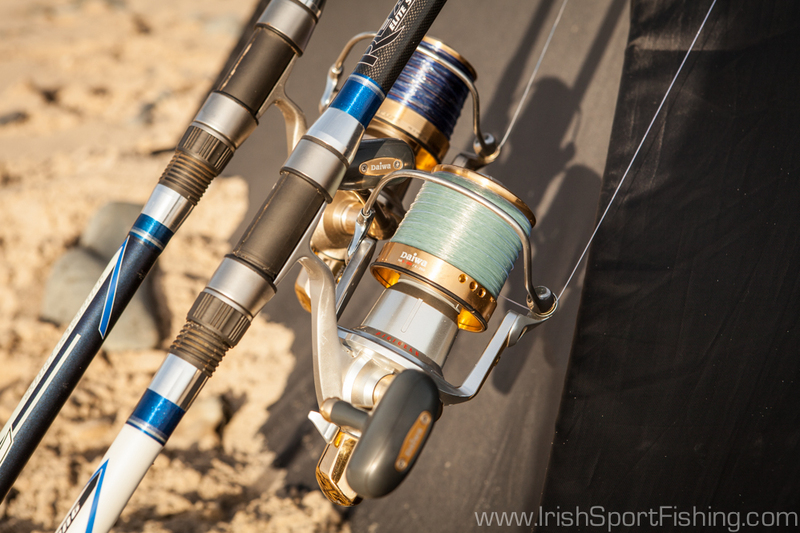 Daiwa 7HT Turbos are used with the Big Beaches when fishing for dogs, whiting etc. Gareth uses Colmic Trophy Surf tapered lines and Colmic Lurs leaders. For multipliers he likes Trilene Big Game and Ultima F1. Trilene Big game in 60lb is used for clipped rigs, and 50lb Tournament Gold for general flapping rigs. For lighter rigs Gareth likes Berkley Vanish in 27lb and clear Amnesia in 30lb. He is also a big fan of Amnesia for snoods, with the 12lb being a favourite. Like most match anglers, Kamasan hooks are prevalent with the B940M in size 4 and 2 the most popular. 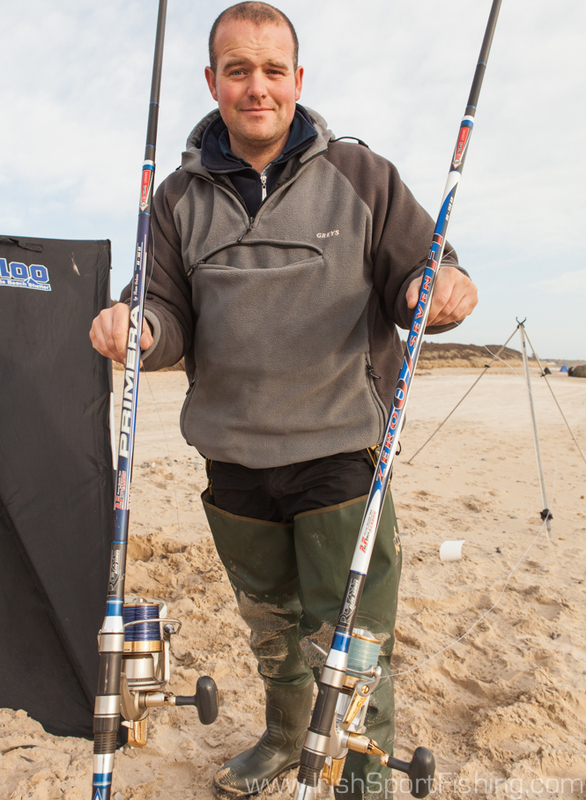 Gareth also likes the B950U in size 1 for dogs and whiting. 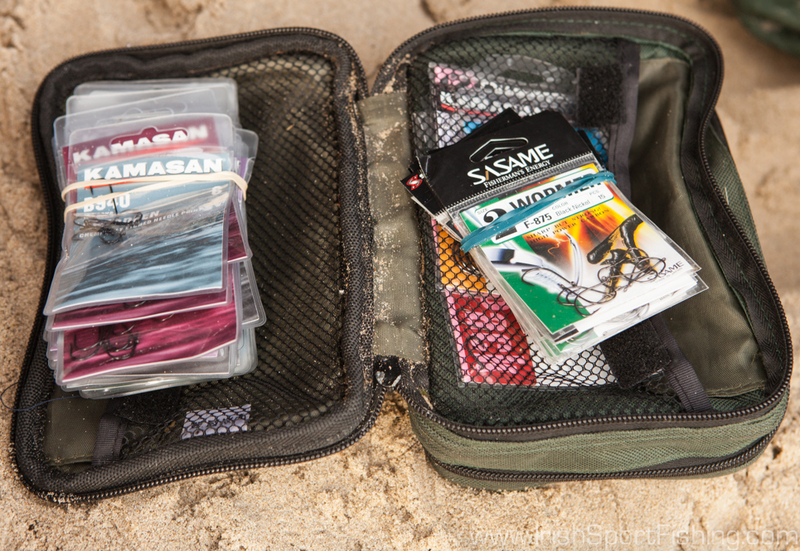 Sasame Wormers in smaller sizes are used if the need to scale down even further arises. Being a neat freak it was no surprise to see Gareth’s rigs stored perfectly in rig wallets and on winders, all in alphabetical order and colour coded (I may have made that bit up!). If you’ve ever tried to untangle a long light rig taken out from a re-sealable bag you will understand the need for winders! I also spotted some secret leads and beads which were quickly hidden from view! 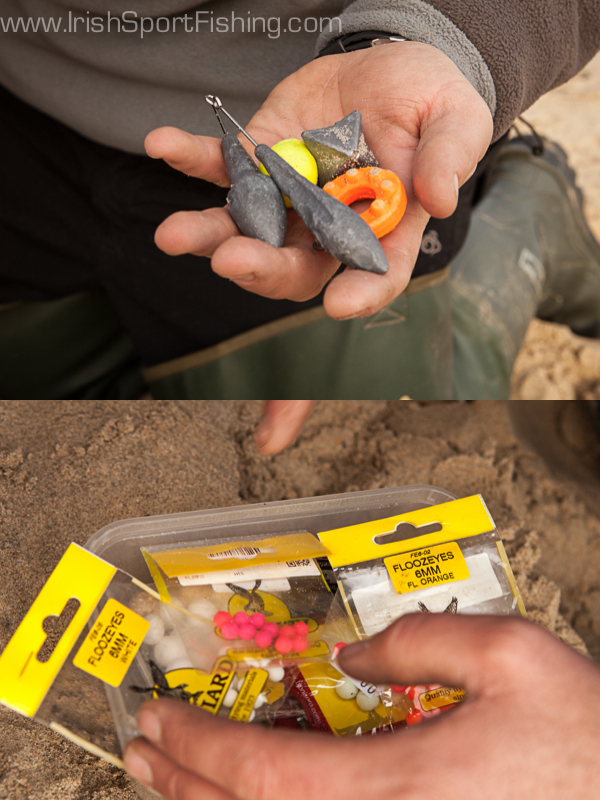 Beads can work on occasion, but in general simplicity is one thing Gareth is a believer in when it comes to rigs. 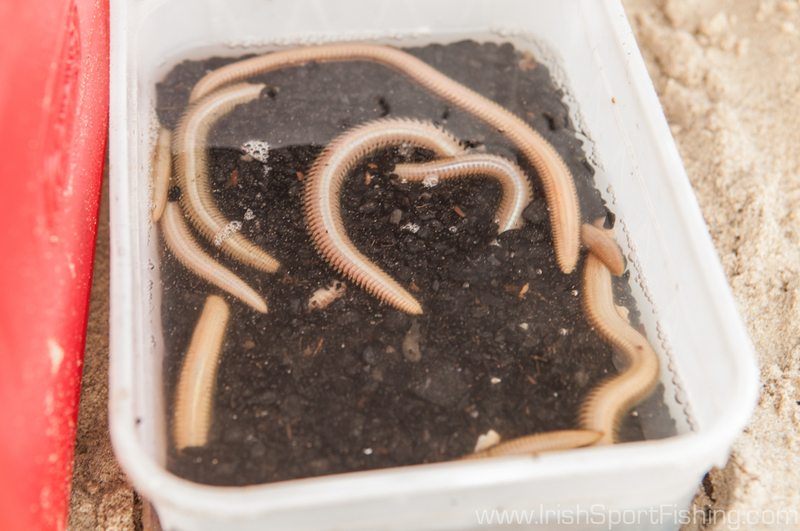 Another thing Gareth stressed was the importance of bait. “Always make sure you have top quality bait. 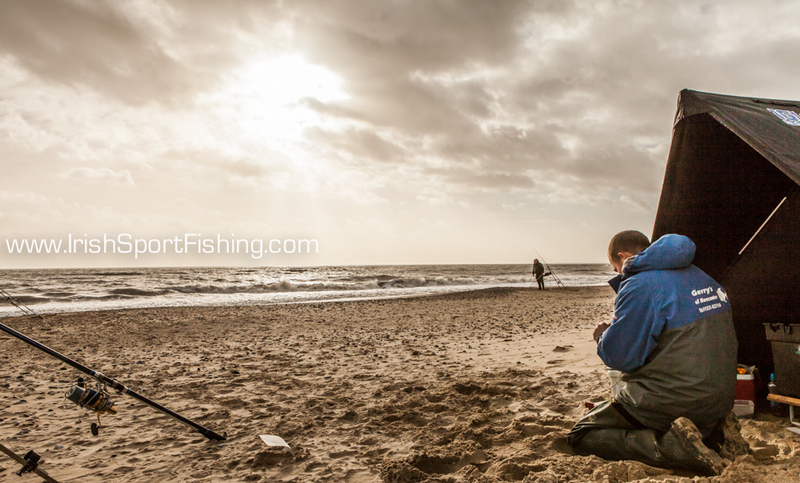 This is probably the single most important element of match fishing”. What you will find is that the guys who consistently do well in matches have all gone to great lengths to obtain the best bait possible for every situation possible. Sure you could arrive at a match with some lug and squid, catch a 3lb codling and win a scratchy match where there was bugger all caught, but you won’t get consistently good results with this approach. Gareth’s favourite type of matches are multi-day events which suit the more consistent anglers, and while he travels all around the country and overseas to fish, his favourite venue is on his doorstep. 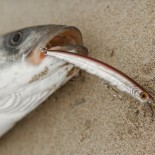 There’s no doubt that fishing for different species with different methods hones the match anglers skills. By travelling to matches further away from your home patch you learn how others do things, and the different methods, rigs and tackle etc. that work on different venues. This knowledge is invaluable, and it’s worth remembering that getting a result in a match is the end product of a lot of time and effort put in through the years. Cheers Gareth for letting me annoy you for the day! 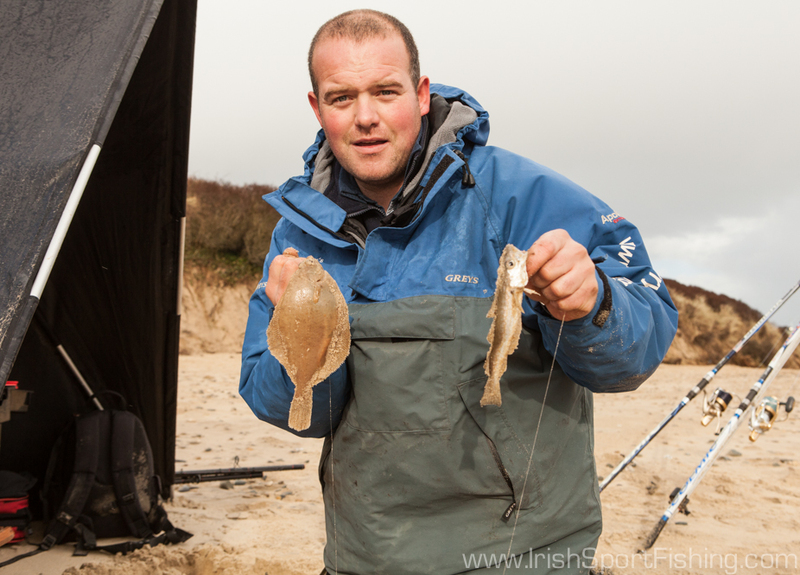 This entry was posted on March 2, 2014 by steve and tagged beach fishing, colmic primera, Colmic Rod, Colmic Zero Seven F1, Fishing in Ireland, Gareth Griffiths fishing, Irish Fishing, www.irishsportfishing.com.